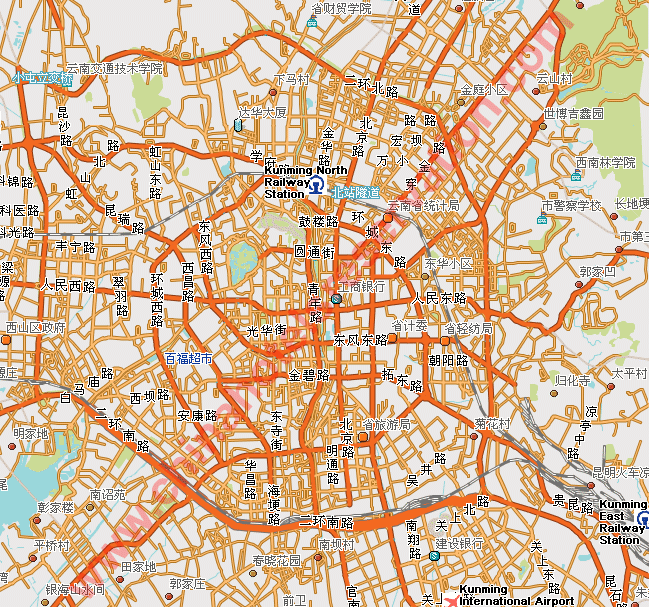 Look on this Kunming map the railway stations of the city, the airport, the city centre and any hotel that you can remark for your temporary residence. Clicking on the hotel clips, you can read complete information. You can organize the arrangement considering carefully the location. From the map, you can have directly the prices and the features of resorts remarked.